Kernwood welcomes golf outings of all sizes, including small groups and charity tournaments. 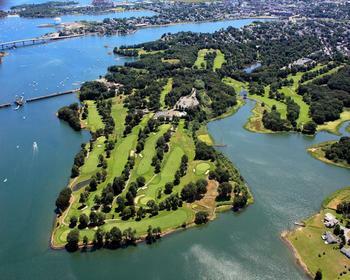 Multiple sets of tees on each hole allow for golfers of all abilities to enjoy a memorable round of golf, while being conveniently located on Boston’s North Shore. Panoramic waterfront views and customized menu offerings come together to make an impression on clients, business associates, and guests. Our talented events team and PGA teaching professionals will help you achieve your goals and objectives while strengthening your organizations professional rapport. Few destinations in New England can match the unique golf and entertainment experience offered by Kernwood Country Club. Home to several state and regional championships throughout our 100 year history, our iconic Donald Ross gem is second to none. Each event hosted at Kernwood is truly unique. We are happy to accommodate any special requests, dietary restrictions, or specific needs for you and your group. To check our availability, or request additional information, please contact Caroine Abad at 978-745-1210 ext. 205 or caroline@kernwood.org.